President Donald Trump announced plans to travel to Dover Air Force Base in Delaware to pay tribute to the American soldiers killed in Syria. The Department of Defense confirmed Friday that Army Chief Warrant Officer 2 Jonathan R. Farmer, Navy Chief Cryptologic Technician Shannon M. Kent, and former Navy SEAL Scott A. Wirtz, working for the Defense Intelligence Agency, were killed in a suicide bombing in Syria. A fourth American civilian killed in the attack while serving as an interpreter was identified by a civilian contractor as Ghadir Taher. A suicide bomber killed the four Americans after Trump declared the Islamic State terrorists defeated and announced his intentions to withdraw American troops from Syria. Trump spoke to reporters briefly as he left the White House on Saturday. “I think it’s the toughest thing I have to do. 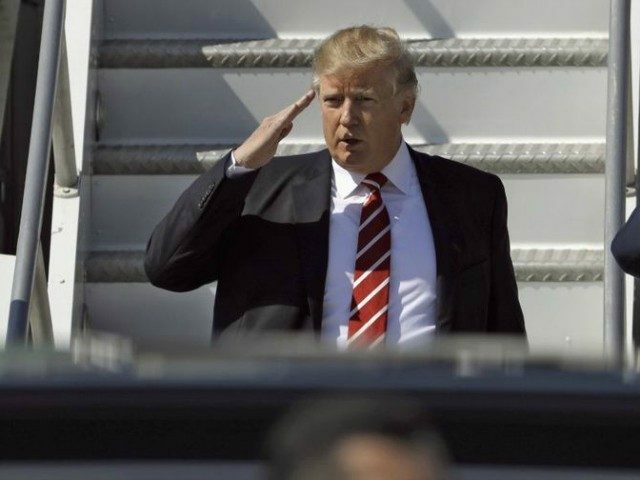 When I’m going to meet relatives of some of our great, great heroes that have fallen, I think it might be the toughest thing I have to do as president,” he said.